While other brands claim to be the best, try us out and you be the judge! The incredible quality of our products is due to the years of experience and the type of technology that we use to create our innerwear. We offer not only comfort, but shape, long-lasting wear, security and toxin-free innerwear that will always treat your skin right, -keeping your well-being as the most important part of what we do. Once you try us, you won’t ever go back! Leonisa has the technology and exclusive equipment to produce the best. We produce 90% of our raw materials and 100% of our garments in 44 of our manufacturing plants – so we can, for sure, guarantee the highest quality. In addition, we have an advanced laboratory with patented machines to ensure superior developments. PowerSlim® is a powerful elastic material that has multidirectional reducing strength due to its hexagonal thread pattern. A garment that has PowerSlim® feels like it fits perfectly to your body with inherent slimming properties that shape, control and support like no other. The hexagonal shape of the fabric allows for greater circulation of air from the body, so even if you sweat a lot during the day, the garment will stay fresh by removing moisture. Further, if you need to wash this material, it dries super fast. Compare our PowerSlim® material to other leading brands on the market, you will not find one that is this soft and with so much powerful control. Experience the technology of PowerSlim® by Leonisa. No matter if you play sports, work in an office, or run errands, you need comfortable, long-lasting undergarments. DuraFit® is a material made of high-quality fibers that are produced using our strict manufacturing process. It’s extremely soft, lightweight, incredibly comfortable and significantly stronger and more durable than materials on the market. For your well-being, DuraFit® limits the growth of fungi and bacteria due to its lightweight, breathable structure and like all Leonisa fabric it’s made of 100% lead-free fabric for your health. Due to the multifilaments of DuraFit®, colors maintain brightness even after daily wear and wash after wash. Your skin should be paired with the best fabric to feel fresh, comfortable and secure. We present garments created from the latest technology so that they are highly durable and become your favorites. 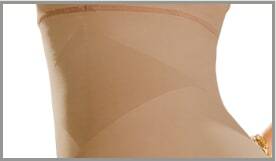 SkinFuse® is the seamless Leonisa technique to produce the best invisible undergarments. After more than 55 years of studying women’s curves, we developed a unique control that targets certain areas of the body to strategically shape it for a comfortably, smooth and natural look. Our targeted compression smooths out areas of the body that need shaping and relieves compression in others for a curvier shape. For example, there will be compression in the tummy and waist area and zero compression in the rear to avoid flattening. We found a way to offer products made in only one piece and with very few ultra-flat, undetectable seams. Check out garments with SkinFuse® by Leonisa, no snagging due to its warp thread structure, and you will be amazed by its high durability, softness and comfort. Never before have you felt such a delicate, yet highly durable fabric. SmartLace® by Leonisa is our technological development for sensuality. With our anti-pilling treated fabric, don’t worry about garments forming little balls. Our lace is made of a significantly higher quality and design than other leading brands. It goes undetected under clothing, doesn’t itch or cause discomfort, and is perfect for daily wear. 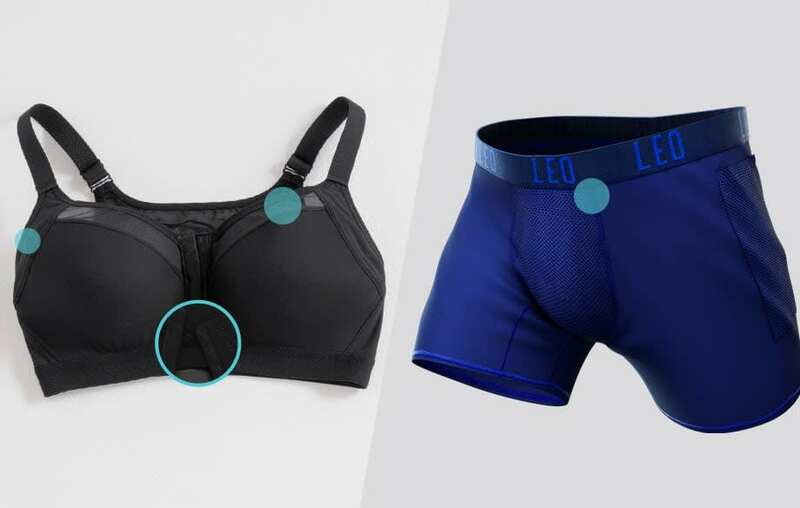 When you wear a garment with SmartLace® feel special: you’re wearing a product exclusively designed and manufactured using cutting-edge technology in fashion. 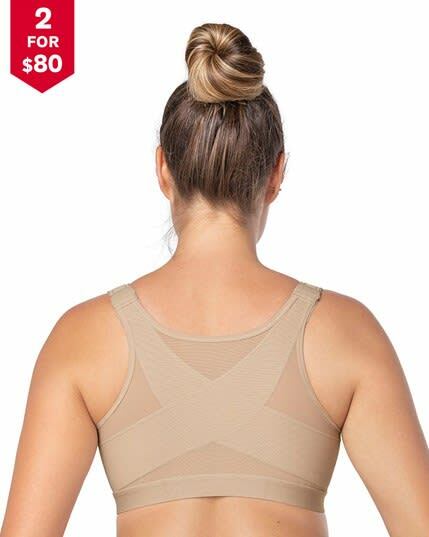 Seamless fabric that targets specific areas on the body to smooth lumps and bumps.